A windfall for sure. 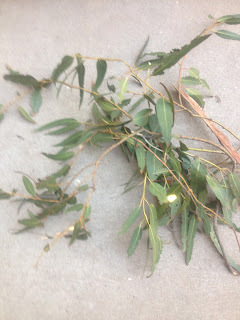 On my dog walk to Recreation Park, I was able to score a lot of eucalyptus that had fallen from the trees. 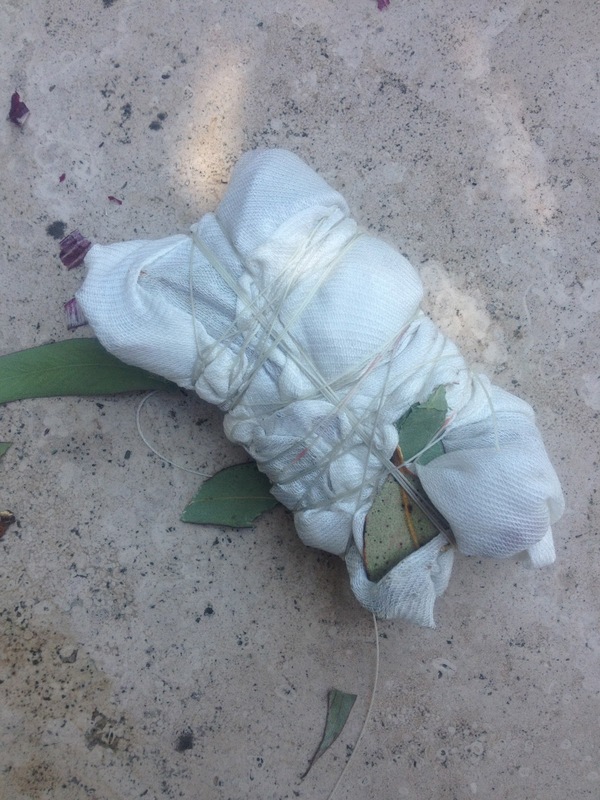 But trying to manage three dogs, bundles of eucalyptus, and a little baggie of you know what is a feat in itself! 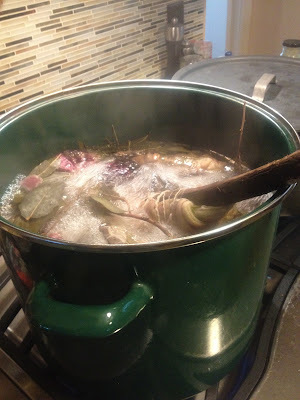 In India Flint's workshop she had advised us to choose windfalls over wild harvest and a windfall is what if got for sure. Securing the bundles with string. This bundle I rolled around a stick. 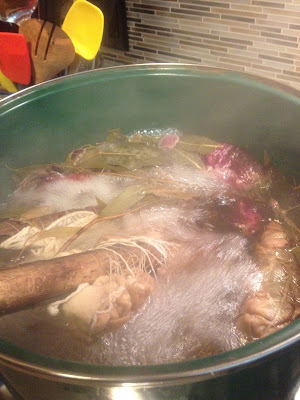 Added a rock to weigh it down in the dye pot. The steam and smell of eucalyptus is heavenly and opens up the sinuses. 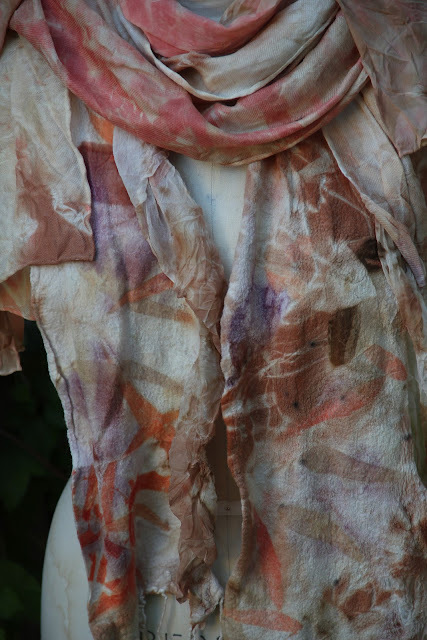 I'm so pleased with the results of my eco dyeing. 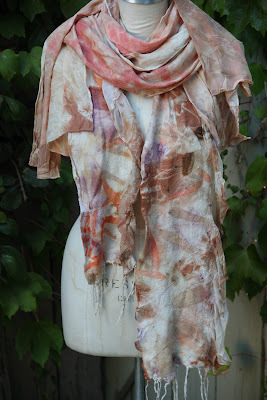 Creating this eco dyed nuno felted scarf is a windfall for sure. I love your eco-dyed piece. Could you tell me how long you let your bundle steep for? Do you unwrap it immediately and rinse, or let it set for awhile? Thanks so much for any advice. Would love to give this a try.